I’m incredibly proud to announce an initiative to end homelessness that I know Arizonans will be excited about. But as always, a little background first. While I certainly don’t support the notion that government should do nothing if it cannot agree on solutions to our biggest problems, I do agree that government should prioritize solving our biggest problems. I also agree that homelessness is one of those big challenges, and I know that Arizonans are motivated to solve the problem. The 2 stands for 2% of Arizona’s annual tax revenues. The 100 stands for 100% of Arizonans with safe shelter every night. I am proposing an annual budget of $180 million for homeless programs. This is actually substantially less than 2% of tax revenue, as Arizona typically takes in much more than $9 billion in annual tax revenues. Additionally, Arizona gets back a substantial portion of the money we pay in federal tax. In short, the 2% we are talking about is far less than the state’s annual budget. It is 2% of the money that Arizonans put directly into the state budget. It speaks to a willingness to continually invest in this issue. We’re not talking about a 1 time $180 million dollar investment. We’re talking about ongoing programs to help those at the very bottom of our society. 20 years from now, 2% may be much higher than $180 million, and I know Arizonans will still be willing to provide that level of funding. 2% of state tax revenue is way, way less than 2% of earnings. The Gross Domestic Product in Arizona is around $250 billion. $180 Million is less than 1/1000 of that. That means that that someone earning minimum wage (currently $10/hr) is being asked to give less than a penny to help the homeless for every hour they work. On the other end of the spectrum, an incredibly successful lawyer or surgeon earning $1000 per hour is being asked to give less than $1 to homeless causes for every hour they work. Is there anyone who is unwilling to make this incredibly small sacrifice to ensure that vets and families have a safe place to sleep every night, and the help they need to get back on their feet? Where did the budget number come from? Like many things in the world, homelessness is not binary, it’s a spectrum. The stereotypical picture of homelessness is the people living on the street, under bridges, or in abandoned buildings. This kind of homelessness certainly causes the most visceral reaction. But there are also vets who live in a vehicle. There are families that secretly cram 5 or 6 people into motel rooms, and who don’t know if they’ll be able to pay for that room the next night. There are hardworking people who rely on the kindness of family or friends for a couch to sleep on. Many homeless people combine these strategies from day to day according to their fluctuating fortunes. Experts agree that 20,000-30,000 people are experiencing some level of homelessness in Arizona at any given time, with about 25% of that number living on the streets. $180 Million is a daily budget of just under $500,000, which is about $20 per head. Can you imagine trying to survive on $20 per day? Currently, we are asking our homeless to survive on less. We can do better if we work together. How will the budget be used? For the homeless on the street $20 is enough to cover the cost of basic emergency shelter service and a 2000 calorie diet. This is by no means luxurious accommodations. This is a cot in a wide open room and very simple food. Respectable permanent housing and care for the mentally ill who have little hope of becoming self sufficient. Effective treatment and rehabilitation for those with drug addictions and curable/manageable psychological conditions. Medical attention for our homeless who can’t work because manageable medical problems have become disabling due to lack of treatment. Skills training, job placement, and other vocational programs aimed at getting the homeless back on their feet again. Legal representation so that homeless people who have had trouble with the law are able to petition for their fines and sentences to be altered in ways that allows them to benefit society, instead of being stuck in a vicious cycle that society pays for. Respectable transitional housing for those that are on the path towards reintegration into society, but need a little more help while they get back on their feet. 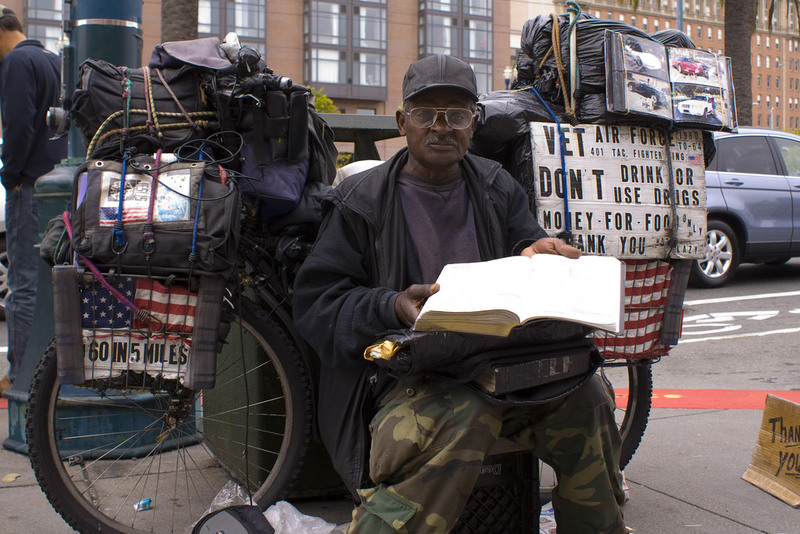 Services to stabilize people teetering on the brink of homelessness, preventing new cases of homelessness and the associated costs and difficulties people have in rebuilding their lives. Data gathering and measurement programs so that we can prevent waste, understand the problem, and understand the impact we are having. How will the budget be distributed? Arizona has many non-profits and faith based organizations that have a demonstrated ability to make an impact in fighting homelessness. While these organizations already do a lot to coordinate with each other, the first priority will be to organize these entities even more effectively. This will ensure that they are cooperating as much as possible and dividing responsibilities efficiently, making sure they are not duplicating efforts on some initiatives while leaving gaps in others. Getting these organizations the funds they need to be maximally effective in their ministries is of first importance. However, it is expected that these organizations will not be able to grow and develop new competencies to solve every challenge for the homeless on their own. As such, the government will play a key role meeting the needs of the homeless. Arizona already has the Department of Economic Security and the Department of Housing. Administering some elements of the program may be turned over to these agencies. Alternatively, a new Department of Homeless Services may be commissioned. I look forward to cooperating with lawmakers to determine the most effective method for using one or more government agencies to administer this program. I also expect that new non-profits may be developed in order to tackle some of the challenges faced by the homeless. The state will make grants available to experiment with the novel services and approaches advocated by these groups. Lastly, I am also open to accepting proposals from the private sector to help solve this problem. But I want to be clear that no one will get rich in our fight to end homelessness. We will not recreate the problems we have with for-profit prisons with for-profit homelessness. We will make sure that everyone working on this issue is incentivized to solve the problem, not perpetuate the problem for the sake of their bottom line. Private companies that want to help address our homeless issues will have to make covenants with the state regarding maximum executive compensation, equality of compensation for workers, etc. First, let your state legislators and the local lawmakers who represent you know that you support 2 for 100, and ask them to support it it, too. Second, if you belong to an organization that would like to hear more about the 2 for 100 plan, invite me to speak to your members. Third, get involved today. Don’t wait ’til I get elected and can make 2 for 100 a reality. Give your time and money to a worthy charity supporting the needs of the homeless today. Most importantly, you can vote for me, and tell your friends to vote for me. If you want to go even further, you can volunteer for my campaign or donate. Arizonans are passionate about taking care of our vulnerable communities, especially veterans and children. Too many of our veterans and children are homeless, and we can make changes for them and for everyone who is struggling with homelessness. I promise, I will fight hard to make sure that our society steps up to support our homeless community and the non-profit leaders who have been fighting for them for years. Have you looked into the homeless program that Salt Lake City has set up? They seem to think it saves them money as a city/state to provide housing to homeless people for free. I have not looked at their program specifically, and I know that many AZ agencies are passionate about a recent federal innovation in solving homelessness, but I would love to find other programs to consider modelling. Are you knowledgeable enough to provide direction on who in Salt Lake to contact about that?